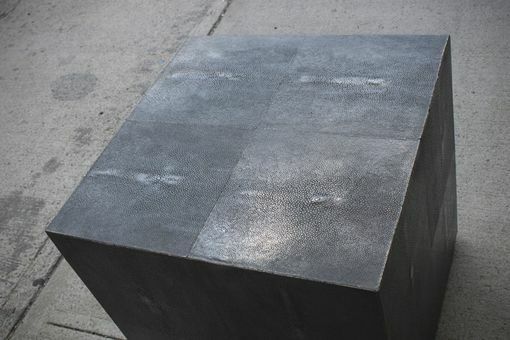 Dark silver patina on this bronze veneer side table is casted from an original pattern of 16 shagreen (stringray) skins. 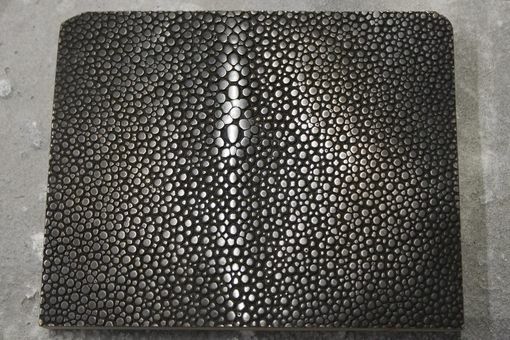 The pebbly texture is brought to a high polish twice, before the patina application, and after to relieve the finish back down to the bronze in high areas, especially the 'eye'. 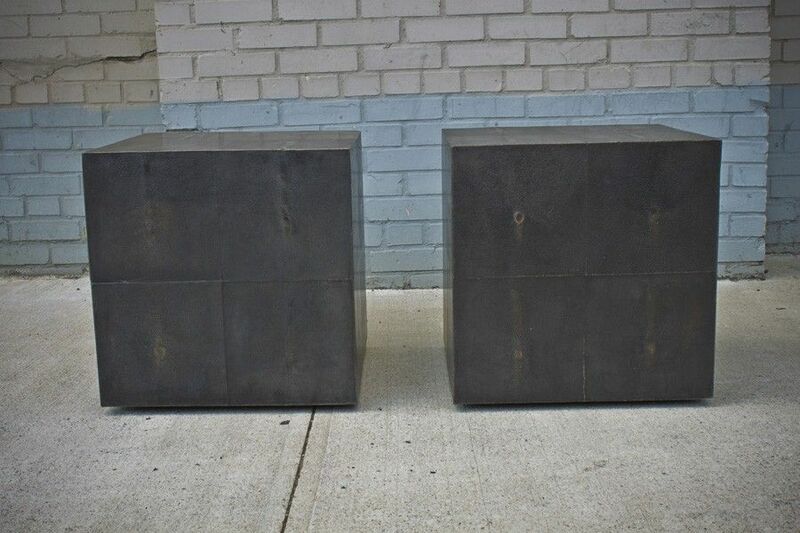 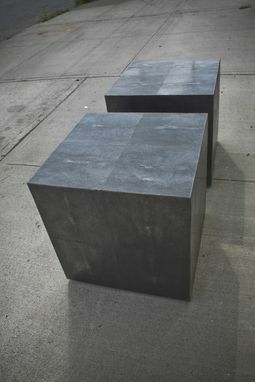 The combination of blacks, silvers and golds in a single surface make these ideal for occasional tables.